The Inland Regional Center is hosting its annual resource fair, featuring food, games, booths, and more. 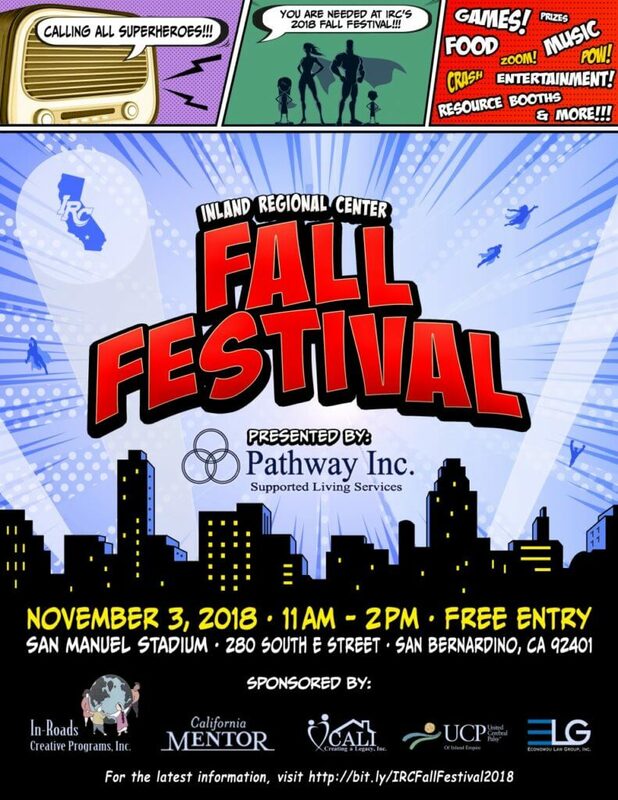 Fall Festival 2018 will be hosted at the San Manuel Stadium (home of the Inland Empire 66ers) in San Bernardino, CA and will be decked out– superhero style! Costumes are encouraged. Our Inland team will be hosting a booth at the event. Stop by to learn more about our resources and say hi!